The Biomedical Engineering Society (BMES) is a national professional organization founded in 1968 that encourages development of leadership and professional skills among undergraduates in the biomedical engineering field. BMES is a leading national organization for biomedical engineering students, professors, and professionals. The mission of the national society is to promote and enhance knowledge and education in biomedical and bioengineering worldwide and its utilization for human health and well-being. The national society has an annual conference, award opportunities, and job posting boards. The annual meeting consists of scientific presentations, a career fair, and networking opportunities. The benefits of being a member of the national society are exceedingly numerous. 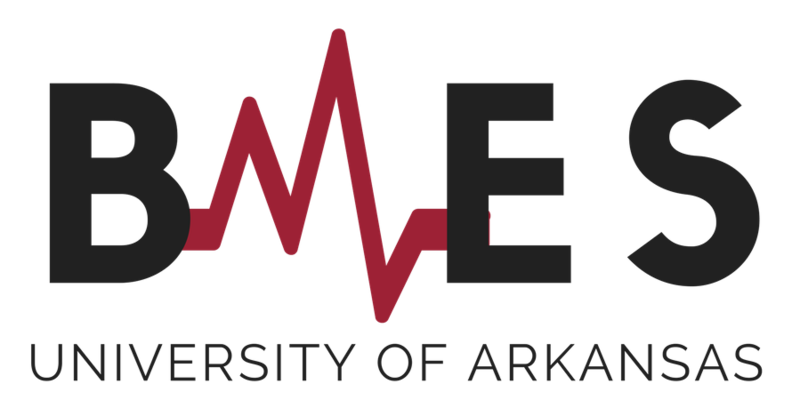 The University of Arkansas chapter of BMES is related to the Biomedical Engineering Department. The Biomedical Engineering Department is relatively new on campus. It was the newest department added to the University’s College of Engineering. The Arkansas BMES chapter has grown in conjunction with the growth of the department. Our mission is to provide student outreach and professional development. Students are informed of industry, graduate, and pre-professional opportunities through various speakers and seminars.